Intel's drone business seems to be a pet project for the corporation. Last month we saw Intel announce its first own-branded drone and these flying devices have regularly turned up on stage at Intel keynotes in recent times. Now Intel has announced a collaboration with Disney which will make use of its sizable fleet of LED light emitting drones. Last month Intel broke its own 100 simultaneous drone fleet flying record. In the dark skies above Krailling, Germany Intel's so-called Shooting Star drones danced in the sky forming 3D shapes, words, and spelling out '500' in the air. 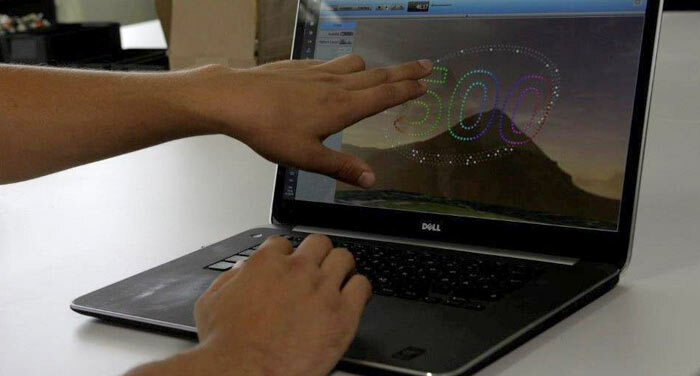 The 500 strong fleet was controlled by a single pilot on a laptop. The choreographed show was variously described as "putting a technological twist on traditional fireworks shows without the inherent risks of traditional pyrotechnics," and offered up as a technology that could be "used for entertainment or for putting ads in the sky". The collaboration with Disney will see part of the Intel Shooting Star fleet over Disney Springs at Walt Disney World Resort. The show is called 'Starbright Holidays – An Intel Collaboration' and will see 300 drones painting colourful images across the sky over the Disney shopping, dining and entertainment district. A sample video of the show is embedded below. This public drone display will be limited to the 'holiday season' for now. Intel says that the "aerial ballet of holiday-themed animations will sparkle in the night sky," and be accompanied by an orchestrated score of classic seasonal music. Intel's latest Intel Shooting Star drones (as pictured above) are lightweight with their plastic and Styrofoam construction, weighing in at just 280g. They are quadrocopters with aerial positioning and RGB LED lighting which can be programmed, synchronised, and controlled via laptop. A new light show presentation can take just days to design and create using the drone fleet and its special software, says Intel. So not Vic and Bob then? Gosh that is impressive. Can't wait until they scale this up. 5000 drone open air cinema anyone?